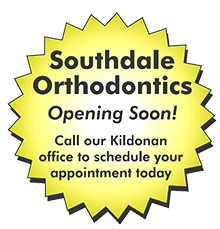 Orthodontic treatment can be successful at any age, and adults especially appreciate the benefits of a beautiful smile. One of every five patients in orthodontic treatment is over 21. Adults also may have experienced some breakdown or loss of their teeth and bone that supports the teeth and may require periodontal treatment before, during and/or after orthodontic treatment. Bone loss can also limit the amount and direction of tooth movement that is advisable. It's best for the orthodontist to see children by age seven to advise if orthodontic treatment is required and the best time for that patient to be treated. The first permanent molars and incisors have usually come in by that time and crossbites, crowding and other problems can be evaluated. When treatment is begun early, the orthodontist can guide the growth of the jaw and guide incoming permanent teeth. Early treatment can also regulate the width of the upper and lower dental arches, gain space for permanent teeth, avoid the need for permanent tooth extractions, reduce likelihood of impacted permanent teeth, correct thumb-sucking, and eliminate abnormal swallowing or speech problems. In other words, early treatment can simplify later treatment. Orthodontic appliances can be made of metal, ceramic or plastic. They may be removable or they may be brackets bonded to the teeth. By placing a constant, gentle force in a carefully controlled direction, braces slowly move teeth to a corrected position. This is a great time to wear braces! We are pleased to offer our patients the new Damon™ Smile self-ligating braces and treatment techniques. Click here to learn more. Treatment time typically ranges from one to three years, depending on the growth of the patient's mouth and face and the severity of the problem. Patients grow at different rates and will respond variously to orthodontic treatment, so the time to case completion may differ from the original estimate. The patient's diligent use of any prescribed rubber bands is an important factor in achieving the most efficient treatment. Interceptive, or early treatment procedures, may take as few as six months.